The tobacco plant has been grown for centuries. Modern tobacco is grown and harvested to meet the needs of the cigarette and tobacco products industries. 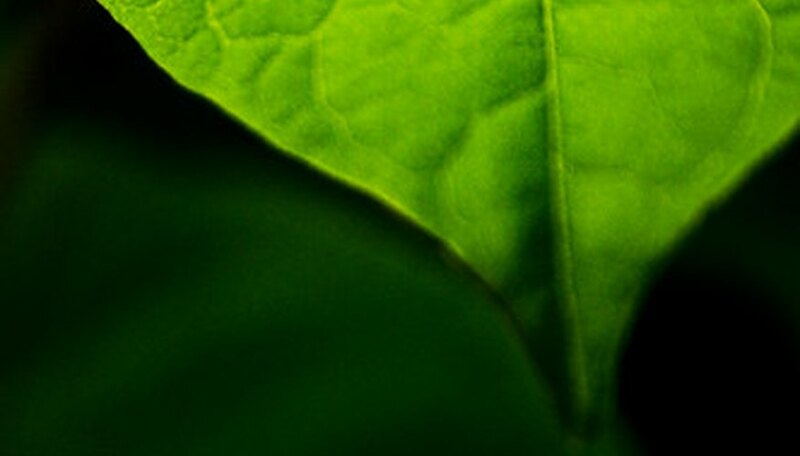 The plants are also being genetically engineered to function as bio-fuel, and the medical field is investigating the various health benefits that might be obtained using various plant parts. To the modern gardener, the appeal of the tobacco plant as an ornamental is undeniable. It grows quite large with abundant foliage and nice flower-heads that smell pleasant. Tobacco seeds are tiny but easy to sow indoors. The seeds require temperatures to be between 75 to 80 degrees Fahrenheit to germinate successfully. Determine the approximate date of your regions estimated last frost and start the seeds six weeks prior indoors. Start the seeds in a well balanced seed start soil mixture that can be purchased at any garden center. The seeds require light to germinate, so do not cover the seeds with soil. Lightly sprinkle on top of the soil and set in a sunny location. Keep the soil moist by watering lightly. Tobacco seeds will begin to germinate in seven to 10 days. A few varieties of tobacco plants can take up to two weeks for germination to begin. When the tobacco seeds first begin to take root, they are very delicate and can be easily uprooted with any forceful water burst. It is best to lightly mist the soil of the seedlings until the root system is firmly established. Three weeks after germination has taken place, the seedlings can be easily transplanted to pots in preparation of moving them outdoors. The plants large leaves should be approximately dime-sized by now. During transplant to containers fertilize the tobacco seedlings for the first time using a balanced starter fertilizer. 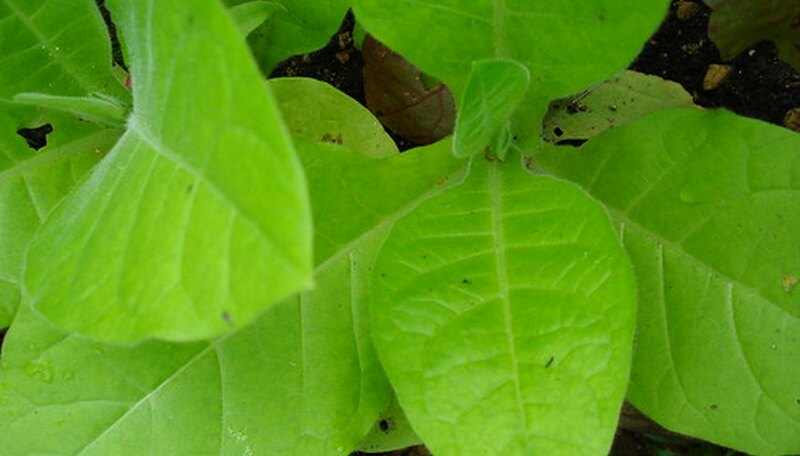 A water soluble starter fertilizer is the best for a tobacco seedling. Follow the directions on the label for application. Transplant outside when the danger of a heavy frost has passed. Tobacco is considered to a self fertile plant, which means that the plant can fertilize itself without the aid of a companion tobacco plant. 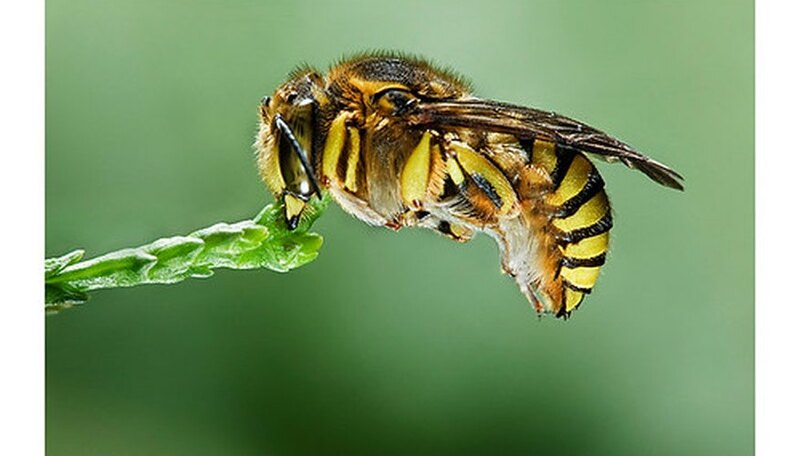 Unfortunately, tobacco can also be fertilized by insects and the wind which can result in problems when planting various types of tobacco close together. It is wise to only plant one variety of tobacco within a one mile radius of each other to avoid cross pollination and to keep the plant varieties pure. Tobacco is a very heavy feeder and will quickly deplete the nutrients in the soil surrounding the plant. Any location that is chosen for the tobacco plant should only be considered a temporary home. Tobacco plants should be transplanted to a new location every two years. After moving an existing tobacco plant it is advised to wait one year before planting a new tobacco plant. Tobacco plants prefer well-drained soil with a very high hummus content. It is advised to mix 50 percent cow manure with 50 percent garden soil before planting. A ratio of 50 percent peat moss and 50 percent garden soil can also be used. The planting location should also receive a minimum of six hours of sun per day. The ideal soil pH for tobacco is 5.8. Once the tobacco plants are planted in the garden water them regularly. They should be kept moist and never soggy. Tobacco plants are very heavy feeders and require a strong fertilizer with abundant nitrogen and potash. The tobacco plant is a member of the Solanaceae or nightshade family, which includes tomatoes and green peppers. Tobacco is closely related to these plants and requires the same types of fertilizer. Select a fertilizer for a tomato plant to use on the tobacco and it will thrive. Make sure that the nitrogen in the fertilizer is a nitrate form for the plant to easily use. The fertilizer should contain no chlorine. The tobacco plant requires feeding during foliage production but once the flowers form the tobacco plant no longer requires fertilizer until the following spring. Dead flower-heads should be cut back and removed from the garden.